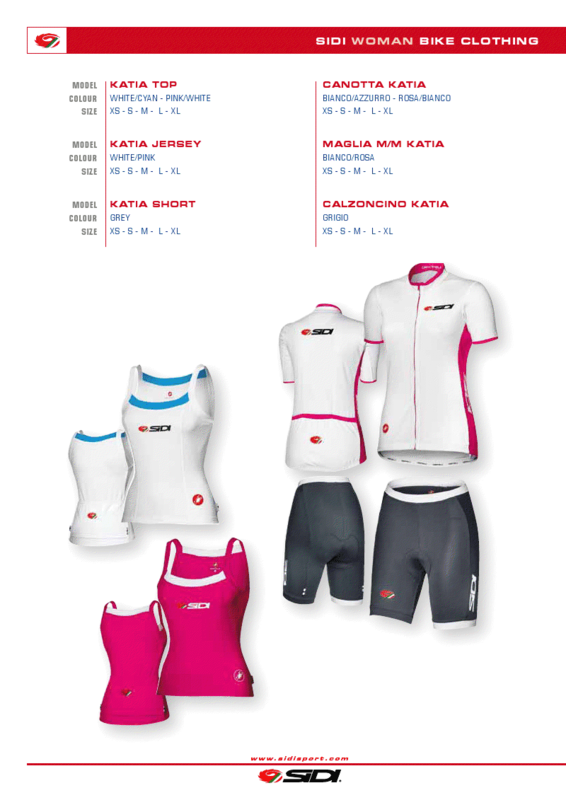 Sidi is introdcuing a line of men and women's technical clothing for cycling. 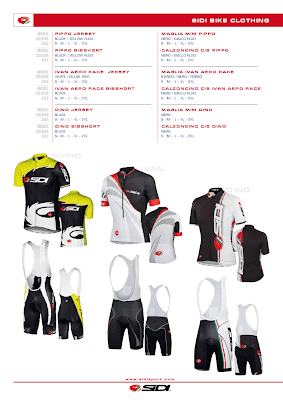 The collection has been developed for Sidi Sport by Castelli. 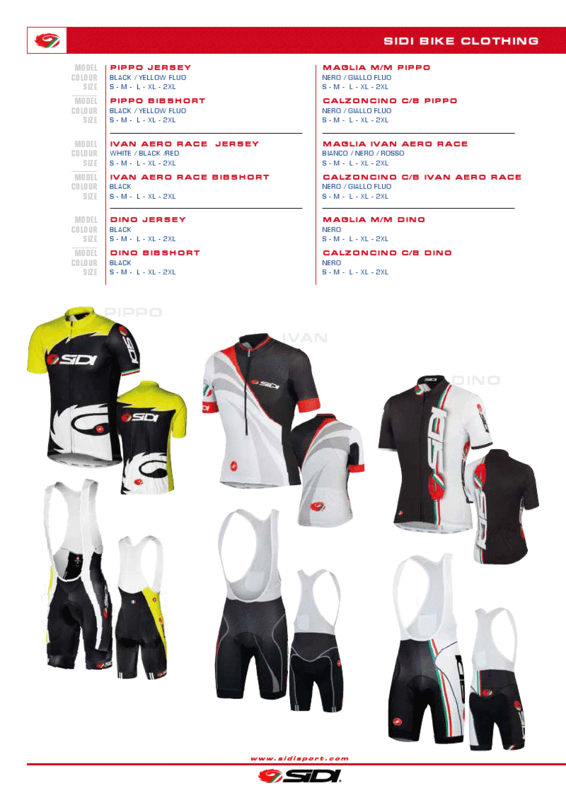 The men's summer collection features models are called Pippo and Ivan, an obvious homage to Sidi super-champions Filippo Pozzato and Ivan Basso, and the Dino model is dedicated to Dino Signori, founding owner of Sidi Sport. As for the women's collection the Katia model stands out with its t-shirt and shorts which can be complemented by a tank top, a very popular piece that is always in high demand with cyclists, especially in the summer months.